Here’s some great news for those who prefer to avoid commercial microwave popcorn. 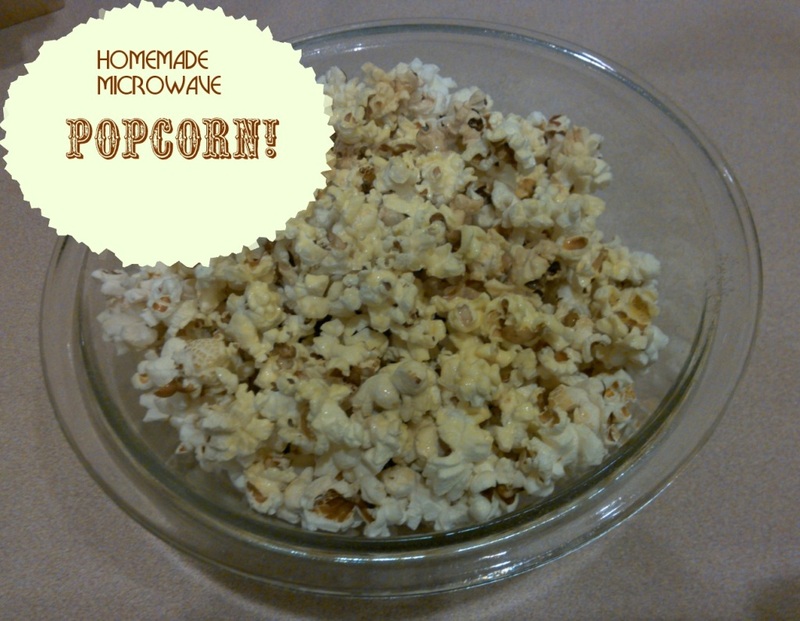 You can easily make your own microwave popcorn using plain popping corn, a paper bag and some butter and salt, if desired. Some folks worry about the chemicals inside the microwave popcorn bags, and others find them too heavily laden with butter flavoring and salt. If you make it yourself, you can make popcorn your way, whether it’s with a sprinkle of salt, a spritz of butter-flavored spray or a few shakes of popcorn seasoning or Butter Buds. Pour the popping kernels into the paper bag and folder the bag over twice, using no more than one inch of the top of the bag, then secure with two or three strips of plastic tape. Be careful that your folds aren’t more than 1/2 inch each, since you need room for the popcorn to pop. Place bag in microwave and cook on high for 2 to 3 minutes, or until the pops are a couple of seconds apart. Remember that you’re better off leaving a few kernels unpopped than burning the popcorn and ruining the whole batch, not to mention smelling up your house for hours. Carefully cut open the bag wearing a hot mitt to protect your hands from the steam that’ll escape. Pour the popcorn into a large bowl, add some melted butter and/or salt if desired, and enjoy!